Bitcoin’s share of the cryptocurrency market hit a 2.5-month high today – a sign that investors are likely switching their money from alternatives into the industry’s most widely traded asset. As tracked by CoinMarketCap, the gauge rose to 42.74 percent earlier on Wednesday, the highest level since April 14, and was last seen a tad lower at 42.5 percent. 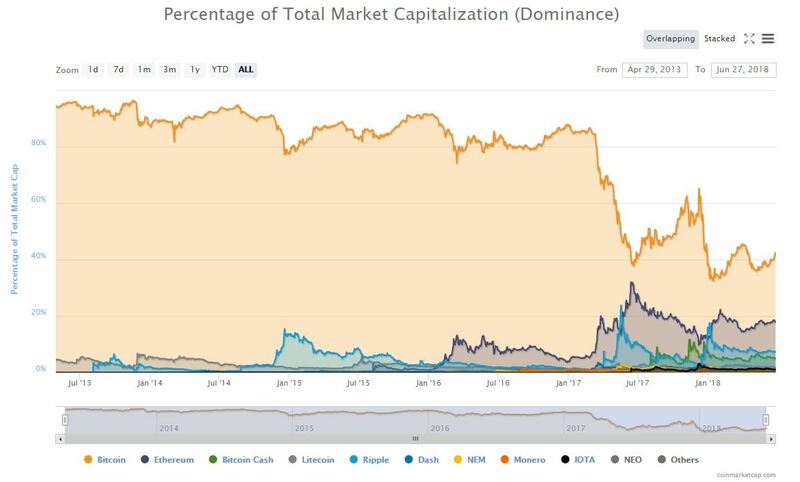 The Dominance Index is an indicator that tracks the percent of the total cryptocurrency market capitalization contributed by the leading cryptocurrency. So, a rising dominance rate essentially means the demand for bitcoin is greater than the demand for other innovations. For instance, BTC’s dominance rate rose from 38 percent to 66.5 percent in the six months to December 2017 – a time in which the cryptocurrency rallied from $1,760 to $20,000. 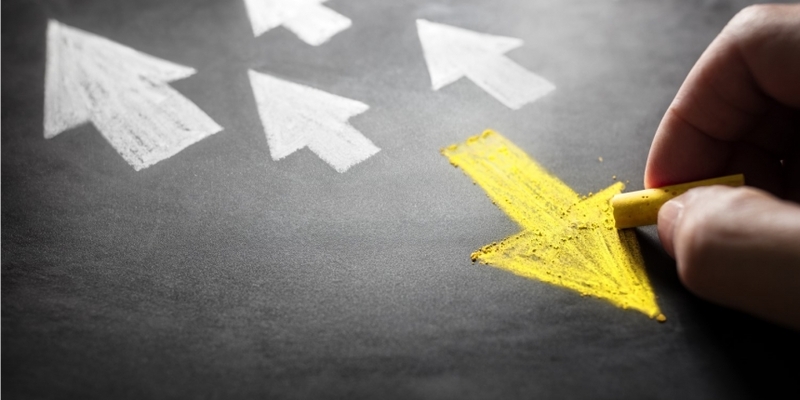 However, it also tends to rise during periods of risk aversion – when investors move out of high-risk alternative cryptocurrencies and into bitcoin, and then possibly on to fiat currency. And it’s the latter scenario that we likely are witnessing currently. In the last seven weeks, BTC has crashed from $9,990 to $5,755 and still, the BTC dominance rate has gone from 35.78 percent to 42.75 percent. So, the writing on the wall is clear: right now, a lot of investors prefer cash over any of the cryptocurrencies, bitcoin included. If prices start to rally along with the BTC dominance rate, however, it could mean the crypto markets have bottomed out, finally finding a floor after months of decline.